Looking for movie tickets? Enter your location to see which movie theaters are playing Cursed near you. 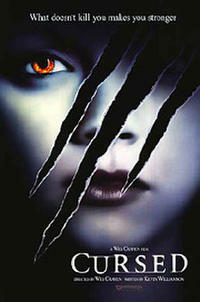 Wes Craven and Kevin Williamson set a classic werewolf tale in present day Los Angeles. Dumb werewolf movie may leave you feeling cursed.